standard-title Leather Men Shoes It always begins with the raw materials. Our leathers are ethically sourced, and we made sure that they are of the finest quality. Our shoes are full leather, from the insoles, linings, out-soles, to the upper of the shoes, all made from full grain cowhide leather, imported from Italy. Handpicked, full-grain leathers | To ensure that our shoes are strong and long lasting, we use only full-grain calf leathers. Not only are they more durable, the natural surface of full grain leather shows character and beautifies with age. All our leathers have been carefully sourced and handpicked to provide the best value we can to you. It always begins with the raw materials. 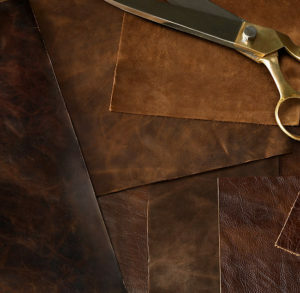 Our leathers are ethically sourced, and we made sure that they are of the finest quality. 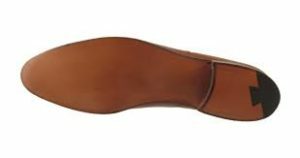 Our shoes are full leather, from the insoles, linings, out-soles, to the upper of the shoes, all made from full grain cowhide leather, imported from Italy. Handpicked, full-grain leathers | To ensure that our shoes are strong and long lasting, we use only full-grain calf leathers. Not only are they more durable, the natural surface of full grain leather shows character and beautifies with age. All our leathers have been carefully sourced and handpicked to provide the best value we can to you. There is no footwear pleasure quite as exquisite as walking on a patina-free leather sole of your CustomMade men shoes. But, for this pleasure to be long-lasting, the sole of your CustomMade men shoes must be properly cared. When you have new leather soles, you should avoid wearing the shoes on rainy days in Singapore, at least until the soles are well scuffed. And always let your soles dry naturally, so the leather layers don’t separate. If you get salt on them, wash it off. You needn’t polish your soles unless you’re getting married and plan to kneel. If your CustomMade men shoes’s leather gets wet, pat dry with paper towels, pack loosely with paper and let it air dry (do not apply more heat). If the leather becomes dry, use leather conditioner to moisturize it, which also magically helps to loosen surface dirt as well. If you’re bothered by the appearance of scratches, we recommend Leather Gel. You’ll find that naturally tanned leather changes with time, just like everything else in nature. This is especially so with Carl & OAK’s CustomMade men shoes, where top grade leather is used, which is nearly impossible to find in Singapore at our price. As leather ages the finish may flatten out and marks may appear as the unique patina develops. This is the sign of well-loved leather that is taking on a character of its own.